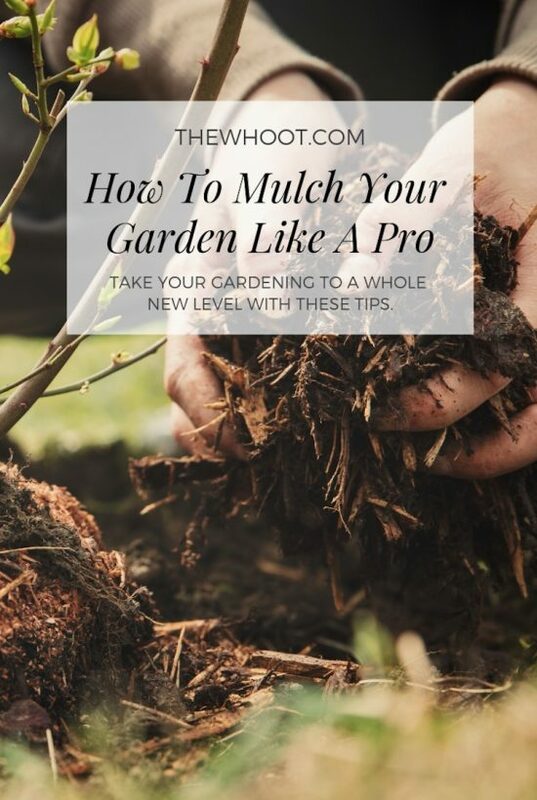 Learn how to mulch a garden bed like a Pro. We have lots of tips and tricks you will love plus a youtube video tutorial to show you how. Check out all the Ideas now. If you are an avid gardener, by now you should know all the wonderful benefits associated with mulching. Knowing how much and exactly what type to use can be confusing however. 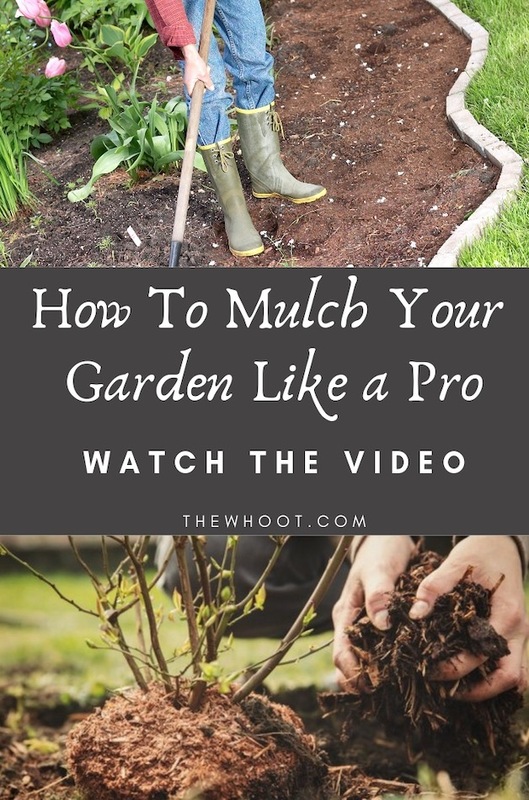 Today we are sharing information that will teach you the benefits of mulching and why you should be doing it regularly. Once you see the good it does for your garden, you will be a convert! Mulch acts as a shield against the suns rays, is said to reduce evaporation rates by up to 80% in summer and keeps the weeds away and encourages worms. Fixx has some great information on the above infographic that outlines further benefits. One of the top reasons you should be mulching is that plants that are mulched regularly produce higher yields. It keeps your soil cooler and your trees, flowers, and plants happier and healthier. When it comes to types of Mulch, Pine and Pea Straw as well as Grass Clippings, Leaves, Compost, and Wood Chips are usual suspects. Newspaper, however, is also a great choice. This excellent tip from Gardeners Edge is an oldie and a goodie. It is one that we use ourselves and we are happy to report that it really does work. 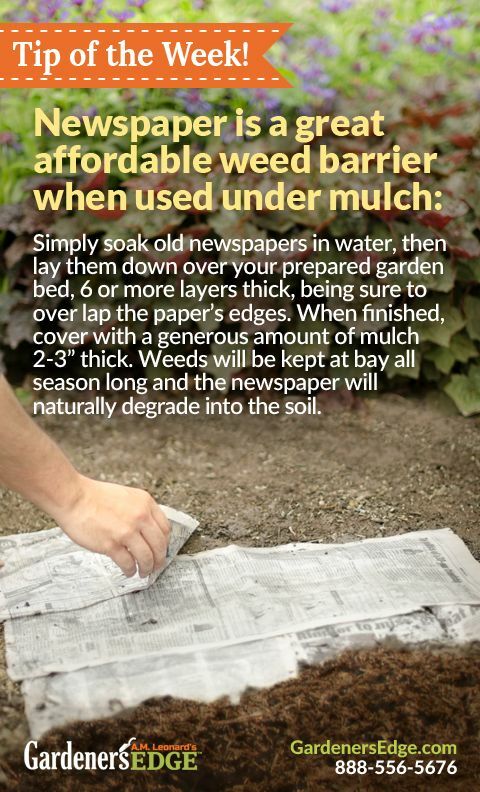 All you need to do is soak your newspaper and then lay it over your garden areas. Be sure that the edges overlap so that you get good coverage. You then layer a decent amount of mulch over the top. Your weeds will be kept at bay all season long! Now that you know the benefits of mulching, the next thing you may like to know is how much mulch you will need for your garden. The great news is that HobbyFarms has created this excellent infographic that shows you how to calculate. You can mulch around trees, play areas, driveways and paths. They also have included some troubleshooting tips too plus an excellent tutorial on their website. We have included this video tutorial from This Old House that contains excellent information.